Instagram is one of my favorite social media platforms. It's the perfect place to follow brands and people you know and like. But every now and then, it can also lead to new discoveries that you may have never found out about otherwise! Milim is one of my latest discoveries, as I was recently contacted on Instagram by Bart, who runs this design/jewelry brand. Bart knows his way around intricate metalwork, which reflects in the unique and futuristic bracelets and necklaces he makes. But he also designed his own fountain pen, so that's what we'll take a look at today. Bart sent me a Milim fountain pen (no specific model name) in bronze, along with the matching inkwell. Right off the bat, I was suprised by how compact it is. It should probably say 'pocket' somewhere in the name, because it's a lot smaller than expected. 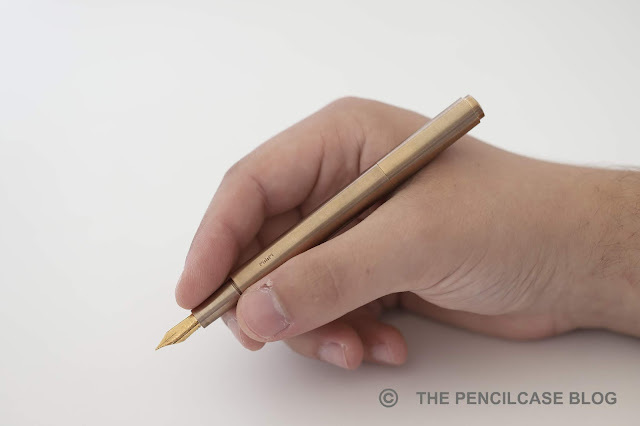 The pen is available in a variety of metals, such as aluminium, brass and gold/silver-plated brass. But also more 'exotic' metals like bronze or Mokume Gane, which is a unique layered material made of silver and copper. I went for an all-bronze version, because it's a metal you don't come across very often in the pen industry. 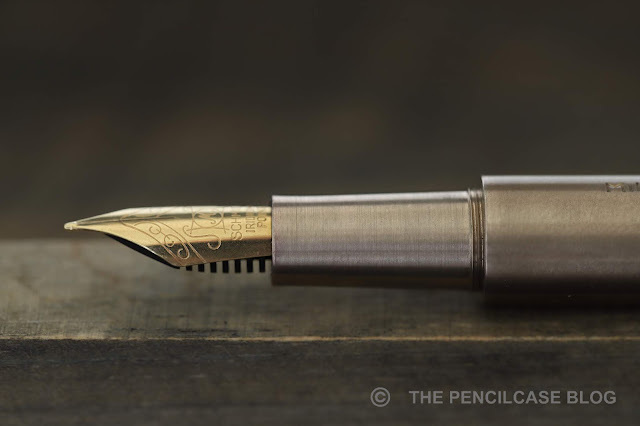 The pen has a lightly brushed finish, and the dome-shaped finials are polished to contrast the rest of the pen. apart from being machined individually, the finish is also applied by hand. Because of that, the brushed finish is slightly uneven, which -I think- gives character to an otherwise clinically clean design. Bronze is quite a peculiar metal, in that it's slightly more copper-colored, but doesn't appear to build up patina quite as fast as brass or pure copper. (at least in my limited experience). 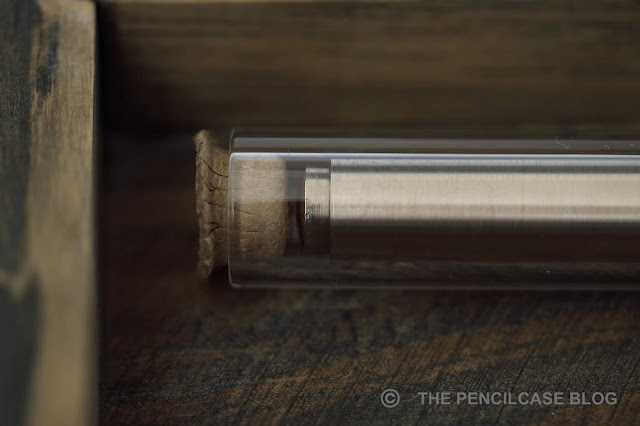 The pen is branded at the front of the barrel, putting the engraving dead-center when capped. The font is small and unbtrusive. A main selling point of this pen is actually... not the pen, but the included inkwell! 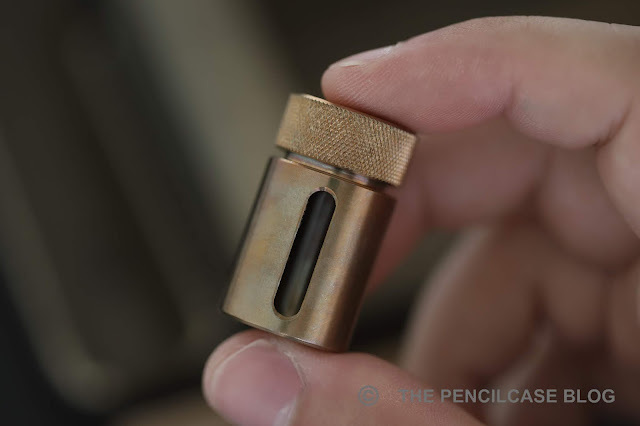 This tiny machined metal container, about the size of a thumb, is also handmade with the same great care and attention to detail. It comes lined with a glass tube that holds the ink, and it's packaged in its own aluminium container (Yes, you read that right: the tiny container comes inside another tiny container!). It's borderline silly to be honest, but it's practical in situations where you desperately need that emergency refill (but somehow didn't want to take ink cartridges), it looks stylish and is perfectly executed... I can't fault it. 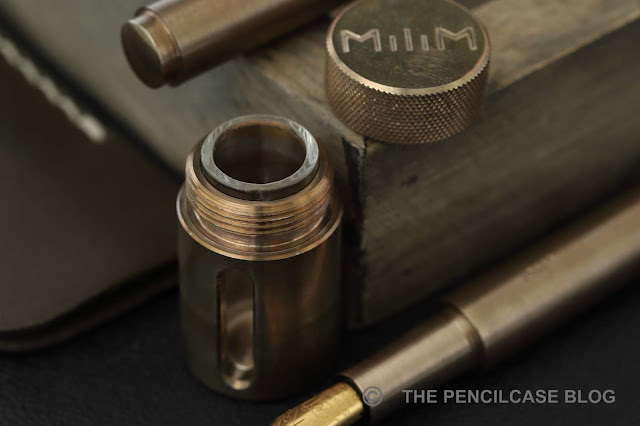 The Milim fountain pen surprises with a remarkably small footprint. 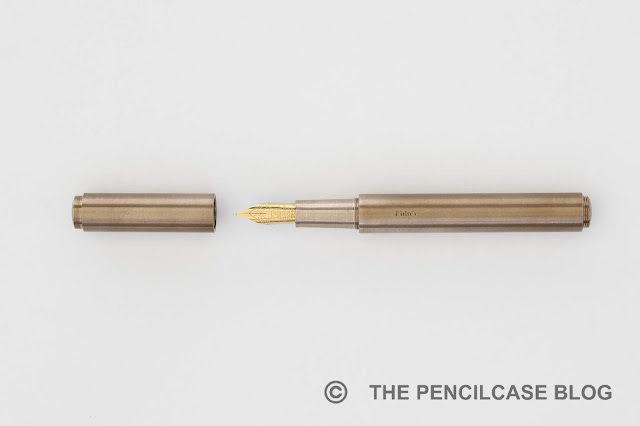 Measuring a mere 10.2cm (4"), with a diameter of 10mm (0.4"), it's not much larger than a Kaweco Lilliput, and it's exactly the same size as the Inventery Pocket fountain pen (review HERE). The sturdy and solid construction translates into a weighty pen: about 40g total. The cap obviously has to be posted for a comfortable writing session, and it does so, securely and completely flush with the rest of the pen. The section is not the strongest aspect of this pen: short and narrow, combined with a rather strong step going from section to barrel. The step is definitely noticeable, as it is rather sharp and rests on my middle finger when I write. Then again, this pen is not aimed at being the perfect pen for long writing sessions. It could be of course, but it wouldn't be my first pick. Instead, the compact size makes it ideal for EDC and quick notes. 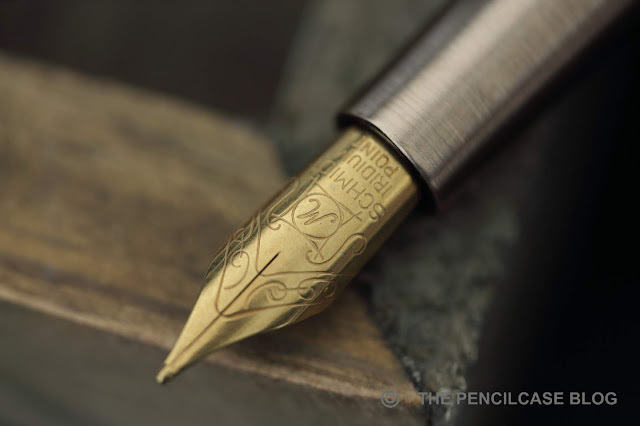 An area where the Milim fp redeems itself, is the writing experience: the steel (gold plated) Schmidt nib is a stock nib, but it performs flawlessly. I'd dare to say Schmidt makes some of the best #5 nibs. It's a well-balanced, smooth medium with a rich but not too wet flow. 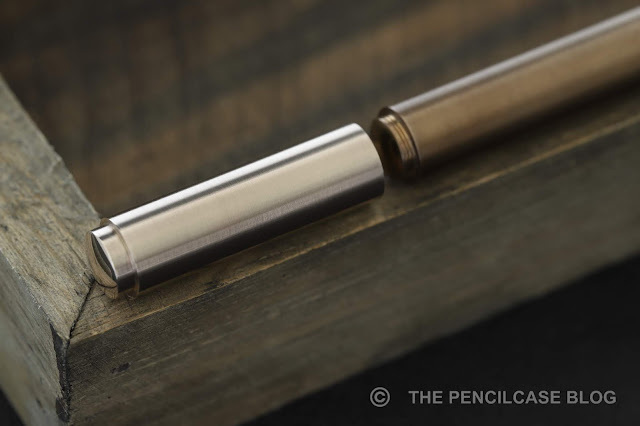 It's stiff and characterless, but also reliable, consistent and very resistant to burping or leaking (quite important for an EDC pocket pen that'll spend a lot of time in your pocket or purse!). I like this nib a lot! 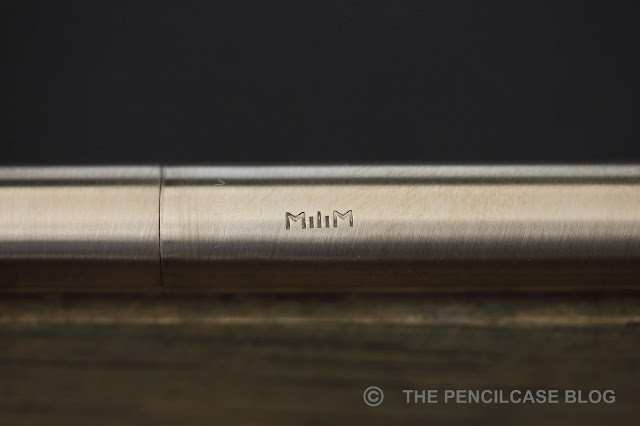 The Milim fountain pen is an interesting piece. 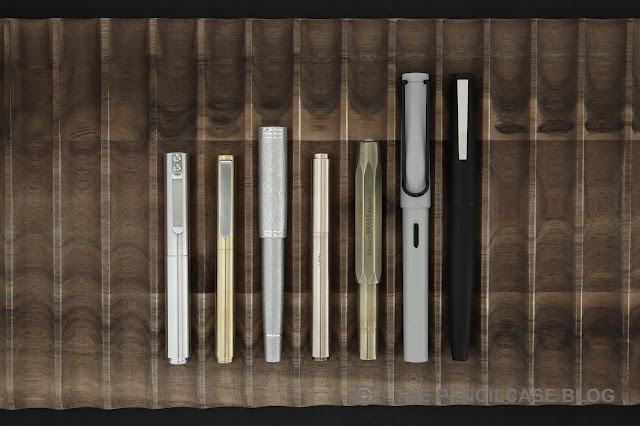 Each pen is individually produced and finished by hand, giving you a rather unique little pen. It's a great EDC option, and I found myself reaching for it quite often because of that. It's a capable writer too, albeit perhaps not the most comfortable for long writing sessions. Sum up everything, and I think the Milim fountain pen is actually priced very reasonably. It's handmade and combined with the inkwell it's a nice package (also for a gift). 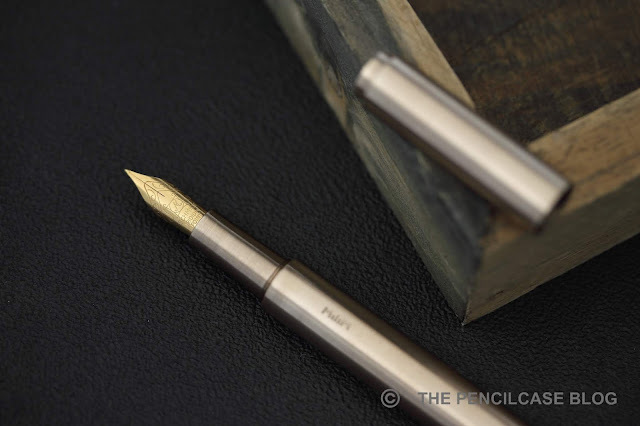 Prices start at 45€ (55$) for the aluminium pen, and the other versions go for 60-100€ (Except for the Mokume Gane version, which is a more premium 485€). The inkwell runs for 50-55€ separately. 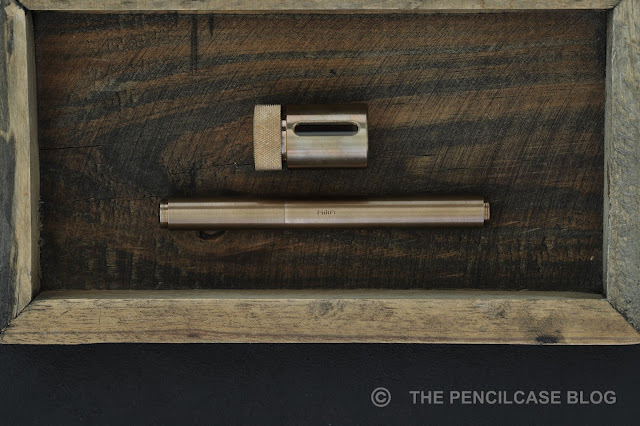 This particular set I reviewed -the bronze pen with inkwell and converter (also made in-house)- sells for 130€ (160$). This product was sent to me by Milim so I could write this review. I was in no way influenced in the making of this review, the opinions shared in this review are completely my own! This post does not contain affilate links.